Open mic nights, poetry slams, fine art studios for teens. This all exists at Young @ Art CT in downtown Manchester. 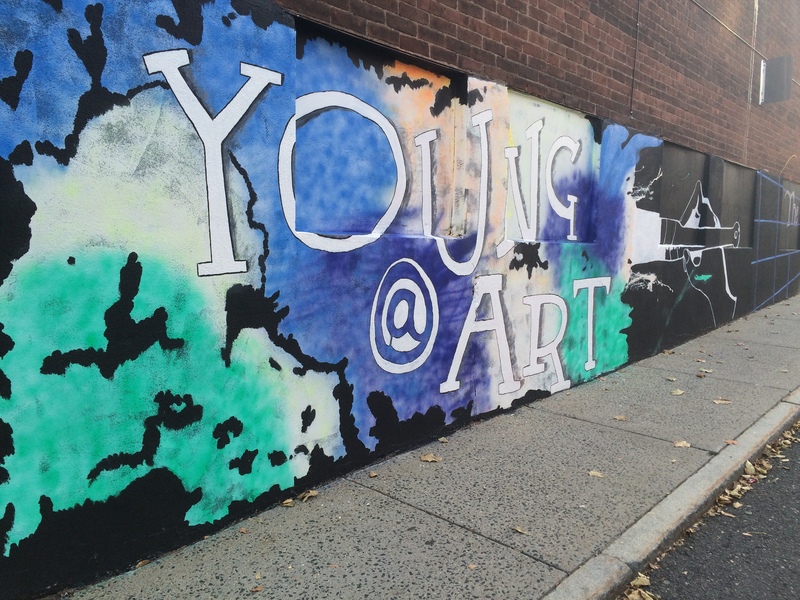 Y@A CT provides a space for teens to congregate around their shared love and diverse talents in the arts. President and Co-founder, Chris Chaffin, created the organization based on the lack of encouragement and mentorship in the arts he experienced growing up. In high school, it was his art classes that provided the inspiration and guidance he was seeking. He wanted to make sure there was a place for teens to get just that, in case it wasn’t available in schools where the availability of art classes seems to be shrinking. The organization is located down a side street off of downtown Main Street in Manchester. Teens between the ages of 14 and 25 have no charge access to studio space, cabinets and shelves of art supplies, and mentors who specialize in multiple artistic disciplines. Here they can create and experiment with mediums from painting, to drawing, and even creative writing. An exciting and innovative element of Y@A CT is their work with murals. Two murals, created by Y@A CT youth and their mentors, grace the indoor and outdoor walls of Manchester’s Washington Elementary School. A Seussical entry way greets students at the front door and once they’re inside, a reading inspired mural greets them on the media center wall. The latest undertaking by the organization is called A Mural Wish. This program provides bedroom murals for youth ages 6 to 14 who are in need of “encouragement, inspiration, and a little bit of make-believe.” Artists and volunteers create the concepts, design, and carry out the painting for selected youth in Hartford and Tolland counties. There is an application process accessible on the Y@A CT website. You can also follow them on Facebook to find out about upcoming classes, open mic nights and poetry slams.